Episode Three of the 1985 miniseries, “NORTH AND SOUTH: BOOK I”, immediately picked up where the previous episode left off. And unlike Episode Two, this particular episode stretches over a slightly longer period of time of six-and-a-half years – between the late winter of 1848 and the early summer of 1854. This episode began less than 24 four hours after Episode Two left off. Following his resignation from the U.S. Army, George Hazard paid a visit to his friend Orry Main to inform the latter of his upcoming wedding to Constance Flynn and to invite Orry to serve as best man. In Episode Three, Orry escorts George to the local rail stop in order for the latter to catch a northbound passenger train. Before George’s train arrives, the two friends spot escaped Mont Royal slave Priam attempt to board a passing freight train. Orry prevents Priam’s escape. But as he prepares to shoot the slave in order to prevent the latter from enduring more punishment, George begs Orry to simply allow Priam to go. An angry Orry concedes to George’s request and Priam continues his escape to the North. About a month later, George marries Constance at a local Catholic chapel in Lehigh Station with Orry and the Hazard family in attendance. During the wedding reception, Maude Hazard announces that George and older brother Stanley will operate Hazard Iron together, while Stanley remains control of the finances. And Virgilia Hazard invites Orry to attend an abolitionist meeting where she is scheduled to serve as one of the speakers. Several months later, a major accident at Hazard Iron leads Maude to place financial control of the company in George’s hands, much to the consternation of Stanley and his shrewish wife, Isabel. The story eventually jumps to the early 1850s, which finds the Main family and others attending the funeral of Tillet Main. One of the attendants is Orry’s Cousin Charles, who has been staying with the family since the death of his parents. Unbeknownst to Orry, sister Ashton has developed a slight lust toward her cousin. However, Charles is attracted to house slave Semiramis, much to the consternation of both Ashton and Jones. Speaking of the latter, he is fired by Orry, who now serves as master of Mont Royal; and later has a fight with Charles at a local tavern. Also, Charles has become involved with a local belle named Sue Marie Smith and is later challenged to a duel by her fiancé Whitney Smith. When Orry helps train Charles for the duel, the two cousins become close. He also suggests that Charles considers a career as an Army officer and arranges for Charles’ entry into the West Point Academy. Orry discovers during the Mains’ visit to Pennsylvania that George has made arrangements for younger brother Billy into the Academy, as well. Also during the South Carolina family’s visit, Virgilia incurs the wrath of her family and the Southern visitors with her comments about the recent Compromise of 1850. Also, George and Orry become partners in the construction of a cotton mill in South Carolina, to the pleasure of both Stanley and Isabel, who believe that George has made a serious mistake. This episode also features Madeline La Motte’s discovery of her husband’s sexual tryst with a slave, and encounters his wrath. 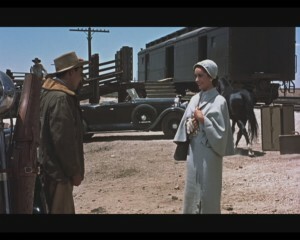 George joins Constance in her activities with the Undercover Railroad. 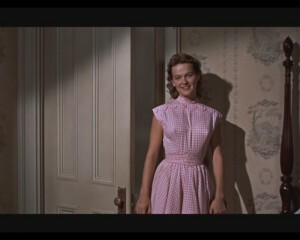 She also convinces him to bring Virgilia along with the Hazard family’s visit to Mont Royal by the end of the episode. As one can see a great deal occurred in this episode. This is not surprising, considering that Episode Three has a longer time span than the other five episodes and stretches across the fringe of two decades. Because of this longer time span and the fact that so much occurred in this episode, I cannot help but wonder if this episode would have benefited from an additional 30-45 minutes. Speaking of time, this is the first time a major blooper regarding the saga’s time span. Following the accident at Hazard Iron in the summer of 1848, the story jumped five years to 1853. The reason this is impossible is that during the Mains’ visit to Pennsylvania a few months after Tillet Main’s funeral, both George and Orry revealed that their younger kinsmen – Billy Hazard and Charles Main – would be entering West Point later that fall. Like I said . . . this is impossible, considering that both Billy and Charles will graduate from West Point in 1856 in the following episode. There is no way in the world those two will spend only three years at the West Point Military Academy. Tillet Main’s death should have occurred either in late 1851 or early 1852. Another scene featured Madeline LaMotte stumbling across her husband Justin LaMotte in a tryst with a female slave at Salvation Chapel, where she and Orry usually meet. My question is . . . why on earth would LaMotte go out of his way to have a rendezvous with one of his slaves, when he could have easily went to her quarters or have her sent to his room? Although the character of Semiramis has been featured since Episode One, this episode ended up being the only one in which she had a prominent speaking role. Naturally, Erica Gimpel was excellent in the role, I suspect that the writers only used her character in this episode as a set up for the expansion of her role in “NORTH AND SOUTH: BOOK II (1986) – including her attraction to Charles Main. I have a deep suspicion that Semiramis was more or less wasted in this miniseries, because Episode Three will prove to be her last appearance until the next miniseries. Perhaps the roles of Semiramis and the other slaves in “NORTH AND SOUTH: BOOK I” could be seen as indicative of the writers and producers’ limited attempt to explore the impact of slavery in mid-19th century America. Perhaps I am being a bit too harsh. But the saga’s exploration of the African-American characters seemed a bit more broad in the second and third miniseries that it was in the first. It did not help that both John Jakes and the writers who adapted his novel for television managed to create a major blooper regarding the institution of slavery. Both the novel and the miniseries featured an abolitionist meeting in Philadelphia where Virgilia Hazard proved to be one of the speakers. First of all, the producers hired actor Robert Guillaume to portrayed famous African-American abolitionist, Frederick Douglass, who also served as one of the meeting’s speakers. Mind you, Guillaume gave an excellent performance. But he was at least 57 when he appeared in this episode. But the abolitionist meeting occurred in the early spring of 1848 . . . when Douglass was just barely 30 years old. Fifty-seven . . . thirty. Hmmm . . . talk about a historical blooper. 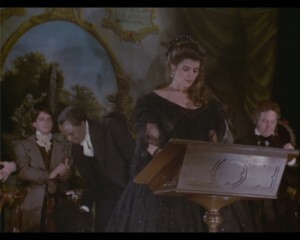 Virgilia’s speech centered on the topic of slave breeding. Naturally, Orry Main, who was at the meeting, expressed outrage and claimed that her accusations were false. Both George and Constance – who were also at the meeting – shared his feelings. Even Jakes seemed to support this belief in his novel. But despite her lurid words, Virgilia was right. Slave breeding was practiced in pre-Civil War America. Why would Jakes or the writers who wrote the miniseries treat this subject as some lurid fantasy in Virgilia’s mind? Other cast members such as Patrick Swayze, James Read, Inga Swenson, Wendy Kilbourne, Jean Simmons, Jonathan Frakes, Erica Gimpel, Tony Franks, David Odgen Stiers and Wendy Fulton also gave excellent performances. However, it is obvious this episode, especially the 1850s sequences, were all about the younger generation. Actors John Stockwell, Genie Francis, Terri Garber and Lewis Smith made their debuts in this episode as Billy Hazard and the three younger Mains – Brett, Ashton and Charles. All four did a great job in establishing their characters. I was especially impressed by Francis and Garber who did an excellent job in establishing the complicated relationship between sisters Brett and Ashton Main in a delicious scene featured in their Mont Royal bedroom. There were other scenes that I found not only enjoyable, but well acted – the Hazard Iron accident, the Philadelphia abolitionist meeting (despite a few historical bloopers), Orry’s blooming relationship with his younger cousin Charles, Virgilia’s quarrel with Isabel Hazard and Ashton Main during the Mains’ Northern visit and Constance’s revelation of her Underground Railroad activities to George. 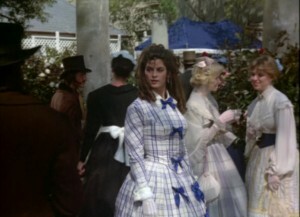 The episode ended with a deliciously funny scene between Read and Alley, when Virgilia convinces brother George to allow her to accompany the family south to Mont Royal. With Virgilia and the rest of the Hazards leaving Lehigh Station for their trip to South Carolina, the story is set to get even more interesting in the next episode. And I cannot wait to see what will happen. When I first saw (5.21) “Juggernaut”, I did not like it. Not at all. Who could like an episode in which one of the characters indulges in a temper tantrum throughout the entire story, while stuck in some space vessel leaking from radiation? Mind you, I had been new to “STAR TREK VOYAGER”, when “Juggernaut” first aired. It was the third or fourth episode of the series I had ever seen. After seeing it for a second time, I had revised my opinion of the episode. I still do not consider it as a favorite “VOYAGER” episode of mine. But I thought it was interesting and found myself sympathizing with the main character in this episode – Lieutenant B’Elanna Torres. In “Juggernaut”, Voyager responds to a distress call of a heavily-damaged Malon freighter. Torres, Neelix, Commander Chakotay, and the only two surviving Malons have six hours to stop a Theta-radiation fallout, which will destroy everything within a three light-year radius. The Away-team must clear the radiation, section-by-section, to reach the control room, and along the way they deal with unstable airlocks and the Vihaar, a Malon boogeyman who is more malicious than mythical. As for B’Elanna, she has to deal with an increasing bad temper that seemed to have gripped her. As one who has spent so many years struggling to keep my temper in check and failing, I understood what B’Elanna was going through. Clearly, she was going through a bad day. It must have been frustrating to hear lectures from everyone about keeping her temper in check. Whenever someone said the same to me, my temper became even more explosive. And I saw the same happening to B’Elanna. Many of Voyager’s crew really did not understand her, did they? Especially Chakotay. It still amazes me that he and B’Elanna had been friends for so many years and he never really understood her. Sometimes I wonder if he ever wanted to try. Of the entire Voyager crew, it seems only Tom Paris and Neelix were capable of soothing her temper. Perhaps that was due to the fact that they seemed to accept B’Elanna as she was and did not try to change her. Janeway wanted her (and just about everyone else) to be the epitome of a Starfleet officer. Tuvok wanted B’Elanna to adapt Vulcan methods of dealing with her temper. Her other best friend Ensign Harry Kim seemed to have accepted her as she was . . . until she lost her temper and he did a fast disappearing act. And I never knew what Chakotay wanted her to be. Perhaps the ultimate Starfleet officer? The perfect Maquis freedom fighter? Completely Human? Who knows, but it seemed quite obvious he was never satisfied with her. Some critics have complained that “Juggernaut” only showcased B’Elanna at her worst. They also complained that the episode never allowed her to save the day, using her engineering skills. Personally? Who cares??? This episode was about B’Elanna’s personal psyche, not her skills as an engineer. Fans already knew that B’Elanna was a good engineer. The series has conveyed scenes of both her and Seven or Harry working on projects together with a great deal of success (and it’s about time!). I suppose screenwriters Bryan Fuller, Nick Sagan and Kenneth Biller, along with director Allan Kroeker and the producers had intended this episode to be about B’Elanna’s control or lack of control of her temper. Instead, I found myself realizing that very few people on that ship really understand her. The story struck me as pretty good, although I have some doubts about the pacing. I must admit that I found it odd Voyager would encounter the Malon again (their first encounter happened in the season premiere – (5.01) “Night”), especially after using the Borg transwarp conduit in (5.16) “Dark Frontier”. Fortunately, the writers brought up that issue by having Voyager’s crew express surprise by the Malons’ appearance. The pacing seemed a little off in the episode’s second half. And I could have done without the radiation “monster” lurking within the Malon freighter. It sounded like something right out of “ALIEN”. And I would have prefer for B’Elanna to re-enact with the Malon core worker a little more, before she was forced to beat him senseless. Aside from my few quibbles, I must admit that I have a higher regard for “Juggernaut” than I originally did. Despite some of the pacing and a few misguided plot points, I must commend the screenwriters for creating an interesting character study for the B’Elanna Torres character. And I have to admit that Roxann Dawson did an excellent job in continuing to carry the complexities of her character. Overall, I believe it was a pretty decent episode. 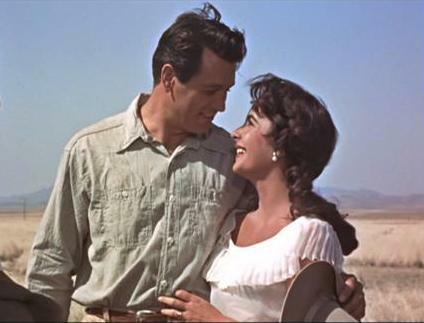 George Stevens had been wise to film most of the film in Marfa, Texas. Located in the high desert of West Texas, Marfa provided the perfect look for the movie’s setting. Cinematographer William C. Mellor, who had worked with Stevens on a few other films, did a first-rate job in utilizing Marfa’s flat terrain in giving the film its wide and sprawling look – especially for the Reata Ranch setting. Mellor’s photography also served well in certain scenes; including Leslie and Bick’s arrival in Texas, Luz’s brutal ride astride the Maryland horse purchased by her brother, the funeral of a World War II combatant (which brought tears to my eyes, by the way), and Jett striking oil. 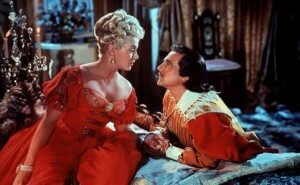 “GIANT” also benefited from Boris Leven’s production designs and Ralph S. Hurst’s set decorations. The work of both men aptly conveyed the changes at Reata, due to Leslie’s influence and the passage of time. I wish I could say something profound about Dimitri Tiomkin’s score. But the problem is that I have no real memory of it. The best I can say is that Tiomkin’s score blended perfectly what was shown on screen. I have only one complaint and that was Tiomkin and Stevens’ use of the song “The Yellow Rose of Texas” during the famous diner fight scene and near the end of the movie. I found this use of the song rather bombastic. What can I say about the acting in “GIANT”? 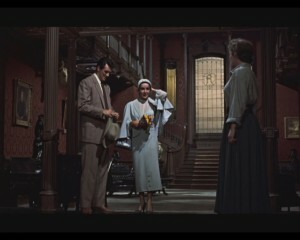 Three of the cast members – Rock Hudson, James Dean and Mercedes McCambridge – earned Academy Award nominations. It seemed a pity that a few others failed to get one. Overall, the actors and actresses did a good job. Those who portrayed the movie’s Mexican-American characters did not fare well. Elsa Cárdenas gave a solid performance as Bick and Leslie’s daughter-in-law, Juanita Benedict. But Juana proved to be a slightly dull and ideal character with little depth. Actually, I could say the same about all of the Latino characters. I had expected Sal Mineo to be given an opportunity to display his acting skills as Angel Obregón II, a laborer’s son. Instead, Mineo barely spoke any lines and simply served as a symbol of young Latino manhood. Both Fran Benedict and Earl Holliman fared slightly better as Judy Benedict and her ranch hand husband, Bob Dave. Other than the pair’s desire to start a smaller ranch, the pair was able to overcome minimal characterizations to give solid performances. Only Carroll Baker and Dennis Hopper were blessed with interesting characters as Jordy Benedict and younger sister Luz Benedict II. And both made the best of it. One of Baker’s finest moments occurred when Luz becomes silently aware that the man she loved – Jett Rink – was merely using her as some kind of substitution for her mother, whom he had remained in love for a long time. And Hopper did an excellent job of developing Jordy from a soft-spoken young man longing to reject his father’s overt patriarchal expectations in order to become a doctor, to the still soft-spoken young man with a hot temper and balls of steel. Looking back, I realized that I had been too young to appreciate “GIANT” when I first saw it. The movie proved to be a lot better than I first believed. Although it was not perfect – what movie is – I now realize that George Stevens did a phenomenon job of translating Edna Ferber’s novel into this 201 minutes epic. And the amazing thing is that I was not bored one bit. The movie maintained my interest from start to finish, unlike the 1939 movie “GONE WITH THE WIND”, which bored me senseless during its last hour. And I cannot believe that this movie, along with a few others, lost the Best Picture prize to the likes of “AROUND THE WORLD IN 80 DAYS”. In the introduction, I had spoken of the majority of STAR WARS fans’ dislike of the saga’s Prequel Trilogy. Granted, this might be arrogant of me to make this suggestion, but I suspect that some of that dislike may have been centered on George Lucas’ ambiguous view of the major characters and their actions. Judging from the words mentioned above and from what I have read from many blogs, articles and message boards, many fans ended up making the assumption that the Jedi Knights and Masters were ideal and selfless individuals who were barely capable of making any mistakes. When Lucas painted them as individuals with flaws that allowed Chancellor Palpatine to exploit in order to lead the Order to its destruction, many became angry and appalled. It seemed as if Lucas had destroyed their ideals. However, the last movie of the Original Trilogy – “RETURN OF THE JEDI” – marked the first time that the Jedi were portrayed in a less than personable light. In this particular movie, soon-to-be Jedi Knight Luke Skywalker discovered that both Obi-Wan and Yoda had lied to him about his father’s fate and identity. So, it was not that surprising to me that Lucas had continued this path with his unflattering portrayal of the Jedi in the Prequel Trilogy. Personally, I found the Jedi a lot more interesting in the second trilogy. And I find it hard to believe that such ideal personalities actually exist – at least in real life. And in fiction, these ideal characters tend to strike me as boring and one-dimensional. Thanks to Lucas, the Jedi were presented as anything but one-dimensional. Many fans have expressed the belief that if Anakin Skywalker had rigidly followed the Jedi Code, he could have avoided becoming a Sith Lord and instead, become the ideal Jedi Knight he was allegedly destined to become. I cannot say that I agree with this belief. I have my own ideas of the mistakes Anakin made that led him to become Darth Vader. But I will discuss that matter later in the article. Right now I want to focus on the views of the Jedi. QUI-GON : I don’t sense anything. here and now where it belongs. living Force, my young Padawan. Obi-Wan, along with other Jedi like Master Yoda, seemed to believe in what is known as the Unifying Force – in other words, they focused on the flow of time as a whole, in which visions of the future were of particular significance. Qui-Gon, on the hand, was a firm believer in supporting of what was known as the Living Force – which is viewed as “living in the moment” or relying heavily on instincts and concentrated more on sensitivity to living things; rather than fulfilling destiny, which was one of the main traits of the Unifying Force. There are STAR WARS who believe that by ignoring the Unifying Force philosophy, Qui-Gon failed to sense the danger that Anakin represented. Others believe that Yoda, Mace Windu and other Jedi Masters failed to prevent the Clone Wars that gave rise to the Galactic Empire, because they had ignored the Living Force philosophy and instead, lost themselves in looking toward the future rather than observing the occurrences unraveling in front of them before it was too late. First of all, I do not believe that Qui-Gon had ever ignored the Unifying Force. It was he who had sensed Anakin might be the Chosen One that would bring balance to the Force in the future. He was also the one who sensed there was something else behind the situation regarding Naboo’s troubles with the Trade Federation. And when Obi-Wan reminded him that Yoda believe that the Jedi should be mindful of the future, Qui-Gon reminded his padawan that one should not be mindful of the future “at the expense of the moment”. And I agree. I see nothing wrong in anticipating what the future will bring, but not to the point where it would blind me from being aware of the present. I also believe that the Jedi Order’s blinding attachment to the Unifying Force philosophy and inability to be aware of the present may have contributed to not only their downfall, but also Anakin’s downfall. Many STAR WARS fans would disagree with me. Not all, mind you; but many. I am not saying that the Jedi Order was responsible for Anakin’s downfall. I believe that Anakin bears most of the responsibilities, due to the choices he had made in his life. But I believe that the Jedi did not help matters, considering how they trained their acolytes. One of the problems I had with the Jedi was their method in dealing with attachments. Their order had a rule against any of their members forming emotional attachments. They believed that such attachments can be destructive. Anakin’s murder of the Tusken Raiders in retaliation of his mother’s death in“ATTACK OF THE CLONES”; and his decision to help Palpatine massacre the inhabitants of the Jedi Temple in“REVENGE OF THE SITH” seemed to ably support the Jedi’s belief. However, I believe that the Jedi were not completely right. Yes, I believe that emotional attachments can be destructive, as shown in “ATTACK OF THE CLONES” and “REVENGE OF THE SITH”. But they can also have positive effects, as shown in “RETURN OF THE JEDI”. Many fans have criticized Lucas for failing to make a clear statement on the effects of love and emotional attachments. They claimed that Anakin’s downfall in the Prequel Trilogy contradicted Lucas’ message in the Original Trilogy about the positive effects of love and attachments. I believe that they had failed to take into account that there are no clear answers on how emotional attachments can affect someone. It all depends upon the situation or the moment. The problem with the Jedi was that they were either too stupid or too blind to consider that when it comes to forming or letting go of attachments, it all depended upon the moment. Instead, they adhered to a more narrow view on the subject. They believed that all attachments had a negative effect upon an individual and to become a Jedi disciple, one must let go of all attachments. Unfortunately, the Jedi never knew how to let go of attachments – correctly – or even know when was the right time to let go of attachments. In other words, they never taught their disciples and initiates on how to let go. Instead, they enforced this belief through a rule. Some fans have claimed that Anakin’s late entry into the Jedi Order at the age of nine, instead of as a toddler, made it difficult for him to let go of his attachments. I disagree. I do not believe that age had anything to do with Anakin’s inability to let go of attachments. I believe that no one in the Jedi Order had ever really taught him how to deal with emotional attachments. Why? Because I believe that many Jedi Knights and Masters had never really learned how to deal with their own emotional attachments. I also believe that Jedi failed to consider that everyone is bound to form some kind of attachment in life. Including Jedi Masters, Knights and padawans. After all, most of them had been with the Order since they were toddlers. It was only natural that they would consider the Temple as their own and end up forming attachments to the Order and their fellow disciples. In order for them to learn to let go of attachments, I believe they needed to acknowledge that they had attachments in the first place. Even within the Jedi Order. And considering the circumstances between Luke, Vader/Anakin and Palpatine in “RETURN OF THE JEDI”, I believe that the Jedi failed to acknowledge one other lesson. No one can simply let go of an attachment at the drop of a hat. There is a time when one must learn to let go . . . . and not to let go of an attachment. This is one lesson that the entire Jedi Order – Anakin Skywalker included – had failed to learn. I believe I better put an end to this article before I continue to ramble. I realize that I have more to say about the Jedi Order than I had originally intended. In the next article; I hope to go into more detail about the Jedi Order, and especially the actions – questionable or otherwise – of some of its members.